The Record Robot: Larry! The Record Robot: Larry! Should you have been traveling on Route 66 through Claremont, CA in the late ‘60s, and the smell of manure hadn’t affected your hunger pangs, you’d have maybe stopped in at the Sage Hen Restaurant to dine sumptuously on glazed ham and a delicious fruit ring mold. 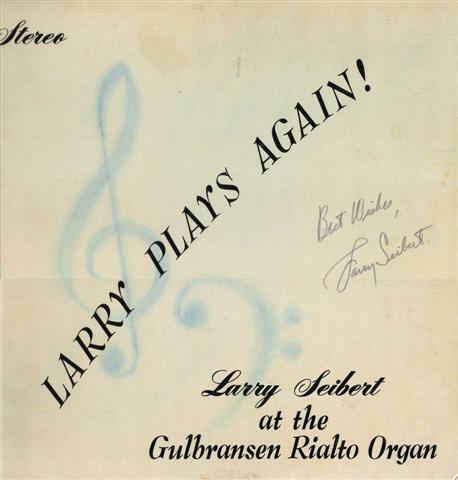 If you were really lucky, Larry Seibert would be jazzing up the place on his Gulbransen Rialto Organ (with Gulbransen Select-A-Rhythm attachment) while you ate. And if you were really, really lucky, perhaps he’d autograph a copy of his album, Larry Plays Again!, for you, as he did for the fortunate soul who owned this copy before it became mine. Larry began playing the piano professionally in the 1930’s in various bands in both New York and California, until World War II beckoned and he went off to fight the good fight. After the war, Larry only tinkered with music casually, until discovering the unexplored potential of the Hammond Organ in 1949. He formed a group called the “Cinema Bums” and they toured the west, performing in hot spots at Lake Tahoe and Palm Springs. 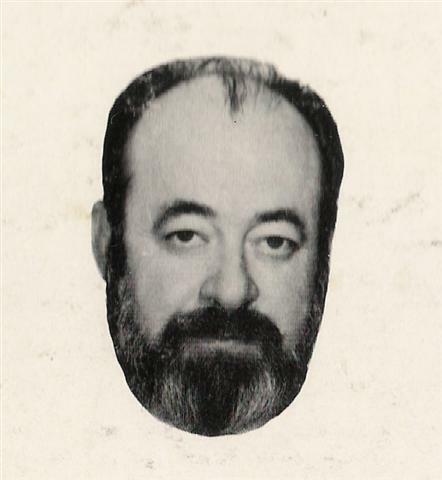 The mid-50’s found him writing advertising jingles for ad agencies and scoring episodes of radio serial broadcasts. Larry unplugged the organ for awhile to earn his degree in clinical psychology and become a marriage counselor, but those keys soon called again and he began playing nights at the aforementioned Sage Hen. That’s where this album was recorded “live,” to an incredibly silent audience of diners. This entry was posted on Thursday, January 25, 2007 at 12:53 AM. You can skip to the end and leave a response. Please sign here if you woul like the rest of the Bonnie Kioloc album... Oh, I'm on me own then! Sorry for the typos! That should have read "Please sign here if you would like the rest of the Bonnie Koloc album"
Wow, on Clear Day, the levels are all over the place. I'm guessing that Larry made pedal volume adjustments on the fly. You know, to add drama and stuff. Larry Seibert was my grandfather. I have chills reading this and seeing the adoration for his music. He was Always playing while I was growing up. He was an amazing man. I would love to hear from anyone who still is listening. I have a very rare Larry Siebert record from about 1957. "Larry Plays" and one half of the record is recorded using a Chamberlain organ, which was the very first sampler and the instrument on which the Mellotron was modeled after. It is on red vinyl if I remember correctly. Not bad at all, with lots of interesting sound effects courtesy of the Chamberlain. I really need to upload some of it to YouTube. My father worked with Larry for many years in West Covina, where Larry was a clinical psychologist. I have a copy of the Album "Larry plays again!" if anyone is interested in borrowing or buying it. you can email me at katsflowers@gmail.com My father lives in Covina and I live in West LA. So I can meet anywhere in between. I made a quick video of the last song from “Larry Plays” as sort of a historical document of the first use of a Chamberlin organ (or Mellotron) on record. The album cover is shown on the video, back and front.